George Burstow was born George Buster in Portslade in 1847, the son of a master bricklayer, and trained as a carpenter. The earliest planning application involving George Buster dates from 1866, when he was only 19. He was listed in the 1881 census as a master contractor employing 23 men and two boys. 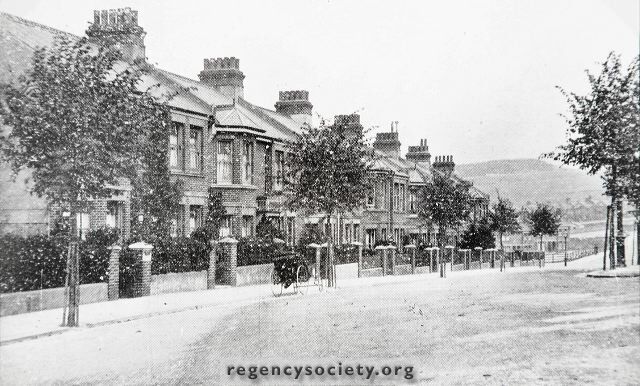 Some of his few public buildings date from this period: The Salvation Army Congress Hall in Rose Hill and the Sussex Temporary Home for Lost and Starving Dogs (now the PDSA) in Robertson Road (both 1883). In April 1894 George changed the family name by deed poll. By the end of 1900 the firm was called Burstow & Sons. 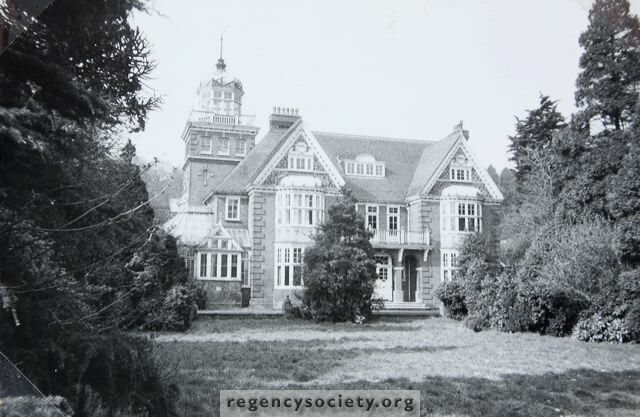 George’s two elder sons, George Herbert and William John, had both trained as surveyors and land agents and joined their father. 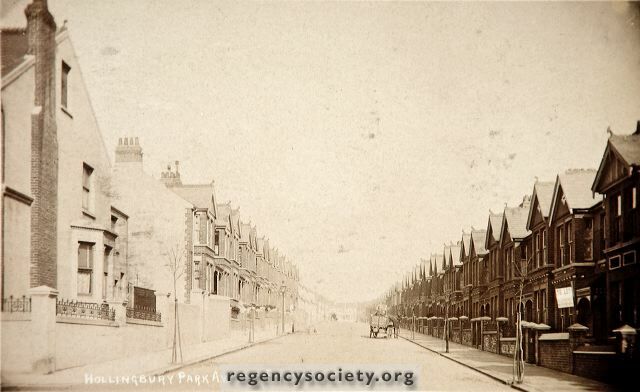 From the 13 houses built in 1897, the pace of activity accelerated rapidly, reaching a peak in 1903 of 727 houses in Brighton, not only benefitting from a surge in local house-building but representing an astonishing 68 per cent of all houses submitted for planning that year. Most of Burstow’s house-building was in Brighton, notably the concentrations of housing in the area between Elm Grove and Hartington Road; from Bear Road north to Milner Road, Redvers Road (103 houses) and Buller Road; along Preston Park Avenue and Harrington Villas; between Surrenden Road and Ditchling Road—including Sandgate Road (113 houses) and most of Loder Road—and across to Stanmer Villas; around St Luke’s school, including most of Freshfield Street and 10 houses in East Drive; and the terraced cottages of Bennett Road in Kemp Town. 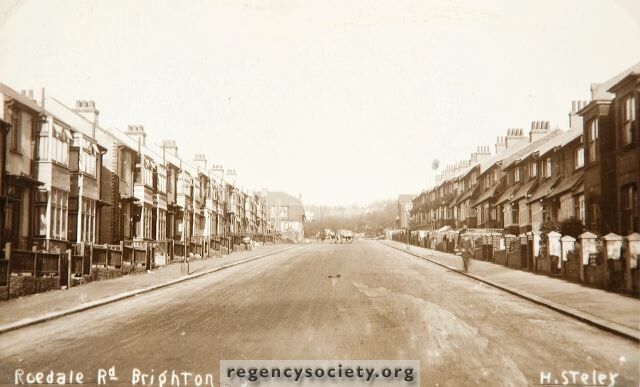 In Hove, however, he was employed to lay out roads off Old Shoreham Roadin 1895, off Portland Road in 1897, St Leonard’s Avenue in 1898, and the land between Montefiore Road and Holland Road from Old Shoreham Road to the railway in 1902. The firm’s most prestigious building, apparently to the company’s own designs, was Tower House, just over the then borough boundary in the Withdean section of London Road. Built in 1902, it is now Grade II listed. 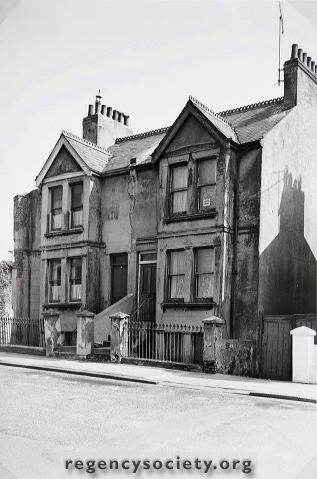 In that year Burstow also built the first dwelling in Brighton specifically designated as a bungalow, in Balfour Road (since replaced). By 1905 the housing boom was over and new builds declined to a trickle by 1909 and did not pick up again until the 1920s. George died on Christmas Day 1910, aged 63. The sons kept the business going into the 1930s. 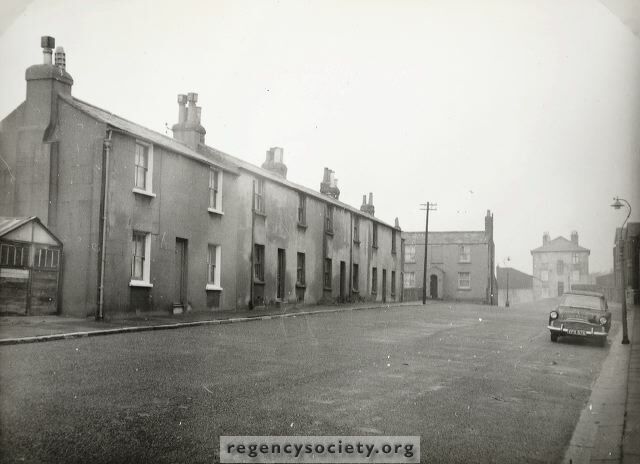 There are few photographs of the streets built by Burstow in the James Gray Collection. Is this because they were so common, so ordinary, so ‘normal’ as not to merit attention or perhaps because they were rarely under threat? Nearly all of them have survived and are the quintessential everyday element of the Brighton townscape.